Performance cycling coach. Specialising in track sprint along with endurance cycling. Data analysis and performance consulting. In 2015, Matthew founded Podium Fitness to realise his vision of affording others his focused yet supportive coaching and training methods. Matthew has designed, tested and developed his performance approaches at an elite, word class level alongside top-level athletes and sport development professionals. 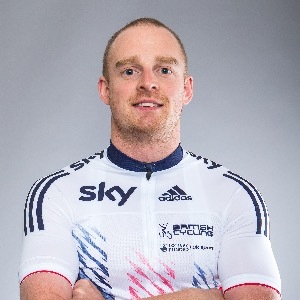 Having had international competition successes with Team GB attaining numerous medals European, Commonwealth and World level, along with racing within the exclusive Japanese Keirin Association. Success. Coach Matthew Crampton has been notified of your message.